The judge said Villavicencio can remain in the U.S. while he exhausts his right to complete an effort to gain legal status. Villavicencio applied to stay in the U.S. after he married a U.S. citizen. They have two young girls. Crotty issued the ruling after hearing arguments earlier Tuesday. Another judge already temporarily blocked his deportation. He has remained in Immigration and Customs Enforcement (ICE) custody in New Jersey. Democratic Gov. 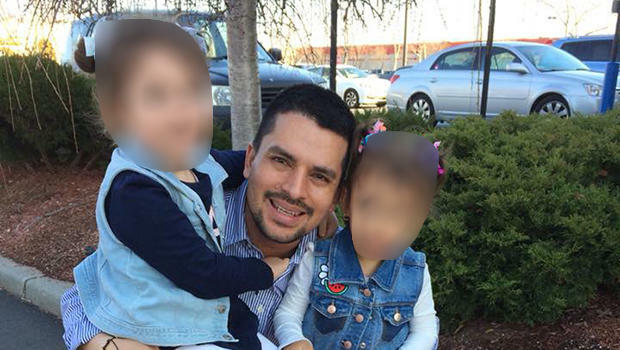 Andrew Cuomo issued a statement Tuesday saying the federal government has "cruelly" kept Villavicencio from his wife and two young daughters "for no legitimate reason."